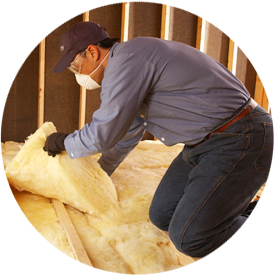 Are You Looking for Insulation Installers in Windsor, Virginia? If you’re in need of a professional and reliable home insulation company in Windsor, Virginia, you’ve come to the right place! Tidewater Insulators has all your insulation needs covered, from consultation and home energy auditing to crawl space and attic insulation installation. We’ve been doing home insulation in Windsor for over 10 years and have the experience, expertise, and skills necessary to insulate your home and help you start saving money and increasing your energy efficiency! For reliable insulation services in Isle of Wight County, contact our professional insulation contractors today! Why Insulate Your Windsor, Virginia Home? If your home was built in the last ten or twenty years, it most likely has a sufficient amount of insulation. But many older homes aren’t properly insulated, costing their owners significant amounts of money on their energy bills. Properly insulated homes not only are more energy efficient and can help reduce your energy bills, but they are more comfortable year round, have a potentially higher value to buyers, and they promote a healthier environment. Reach out to us, your local insulation contractors, to talk more about the benefits of professional home insulation services in Isle of Wight County. The walls (interior and exterior): when your walls and ceilings aren’t properly insulated it allows air to leak into and escape out of your house. There can be large gaps in the spaces between the rooms in your home, including bedrooms and the attic—it’s important to get these areas insulated and sealed to increase energy efficiency. The attic: this is one of the best places to insulate in your home since most warm air escapes out of your attic! With modern technology, it’s easy and affordable to add to your attic insulation, but a professional home insulator should spend some time up there to determine which material is best suited for your home. The basement and crawl spaces: when insulating your home, make sure the basement and crawl spaces aren’t overlooked! They are great opportunities for you to maximize your home’s energy efficiency and performance. Professional home insulators can tell you what kind of insulation you need for your ventilated or unventilated crawl space. When it comes to home energy efficiency, comfort, and value, nothing is more effective than insulation installation. Our highly trained and skilled home insulators serving Windsor, Virginia are licensed and insured and complete every single job correctly, safely, on budget, and in a timely manner. Customer satisfaction is our number one priority—we’ll even make sure your home is as clean as we found it, if not more so! Dial 757-828-0024 to schedule your consultation today. Insulate your home and start decreasing your energy costs today with a free insulation consultation today for your Windsor, Virginia home! Dial 757-828-0024 to get started. When you’re building a new home, Tidewater Insulators can meet all of your insulation requirements during the construction process. We can install your insulation to meet your home building specifications. Our staff is experienced in installing insulation products to meet EarthCraft, ENERGY STAR®, and NAHB Green Building standards. No matter what you need for your new home, we’ve got the insulation for you! Considering insulating your new home or re-insulating your current one? Tidewater Insulators will assess your home and let you know the best places to insulate to maximize your energy savings. Contact our home insulation company and schedule a FREE consultation with Tidewater Insulators today!